The subject of this book is one which stands nowadays put away under a sort of intellectual ban, placed on it some centuries ago by the scientific and rationalistic European mind and not yet lifted. Mr. N.P. Subramania Iyer has undertaken an astrological series which will deal with the various parts of astrology, and the present volume contains the text and translation of the "Kalaprakrasika", a treatise on the selection of the right times by astrological rule for undertaking any and every action of human life. The book is well printed and got up, the translation admirably done in a style free enough to avoid all awkwardness, - the author has a thorough control of the English tongue and an excellent style of his own, - but perfectly faithful to the matter of the text. But the most interesting part of the work for the ordinary reader is the introduction, in which he gives amidst other matter the psychological explanation of the influence of the planets and states for what they stand in relation to the Indian Vedantic philosophy of existence. I have not seen elsewhere any exposition of the subject equally original and illuminative. Astrology is in the general mind associated with that class of subjects which goes under the name of the occult, and along with others of its class it has long been discredited by modern "enlightenment", one does not quite know on what grounds or with what rational justification. It has its psychic and mystical side, but that is not its ordinary presentation; there it claims to be a science like any other with fixed processes and an exact and definite system of rules which ought to be perfectly capable of verification or of disproof by experiment and induction like any other science. Its basis is astronomical and mathematical, its data perfectly open and positive and in no way hidden or occult, nor does it at all shrink back from the test or hide itself in secrecy and mystery. It does not indeed give ordinarily the why, but only the how of the causes and effects it professes to establish, but so it is with all other sciences; they do not give the reason of things, but only their processes. Yet astrology is supposed at some indefinite time in the march of human mind to have been exploded, - along with such things as witch-craft and demonology, not to speak of the existence of spirits and the immortality of the soul, - and there is a sort of idea that it has been disproved and therefore put aside as a superstition which no reasonable man can even look at except with a lofty disdain, much less stoop to investigate with an open mind its truth or falsity. Still the anathema of Science has not been able to destroy it; in Europe it has revived, even though its practice as a profession is punishable by the law, and in India it has always survived. It is not indeed the habit of educated Indians to profess explicitly their belief in it, they fight shy of that as a rule, but it is largely consulted by numbers of them, as also by many Europeans. This is an anomalous position which ought to be corrected. Either astrology is a true science and should be investigated, proved, improved where defective and generally rehabilitated in opinion, or else it is a pseudo science and should be investigated and disproved so as to cut the ground away finally from all secret belief or open credulity. As a matter of fact astrology has never been scientifically disproved, nor has any rational ground ever been advanced for treating it as a pseudo-science. It simply came to be assumed at a certain period and under certain intellectual influences that it was a childish superstition. Or if there were any grounds, then it was left aside because astrologers were charlatans, because many, perhaps most predictions went wrong, but most of all because it was thought that in the nature of things, in any rational theory of the universe the planets simply could not have any influence on our characters, lives and actions. None of those grounds are sufficient. If many astrologers are charlatans, so also have there been many quacks in the field of medicine; at one time indeed not only did they pullulate; but the system of medicine itself seemed so defective that there were plenty of clear and enlightened minds who were inclined with Molière to denounce the whole thing as a gross pseudo-science, an elaborate and solemn system of ignorance, humbug and quackery. Supposing that view had prevailed, - it could not, merely because men are too vitally interested in healing their ailments and preserving their bodies and know no other way of doing it, - that would not have done away with the truth underlying the science. That many predictions go wrong, proves nothing essentially, against astrology any more than the constant failure of doctors to heal diseases proves anything essential against their science. The first reason of this failure may be that a great number of practising astrologers are either charlatans who seek to please their clients rather than predict by scientific rule, - of that kind there are perhaps many, - or else inefficient and ignorant men who practise only by rule of thumb, perfunctorily and with a main eye upon their fees. But if even capable astrologers fail often, that also only proves that either the science or their way of treating it is largely empirical or that some of its rules or theories may be errors. But every science has to pass through its empirical stage and some - as, again, the science of medicine, - have hardly emerged from it, and every science too burdens itself in its progress with false generalisations, incorrect theories and imperfect rules which have afterwards to be discarded or amended. As the main point in medicine is whether herbs and metals and other remedies have or have not certain effects on the body and whether their workings can be substantiated by experience in a sufficient number of cases to establish a regular relation of cause and effect, so it is in astrology with the fundamental question of planetary influences upon earth and its creatures. The a priori argument from the rational theory of the universe cannot stand. There is nothing essentially irrational in the idea that in this solar system, so closely linked together, there may be mutual influences of all planets upon each other or that the beings of a particular planet are powerfully influenced or even dominated by influences from the others. The question remains, the a priori rationality being admitted or at least not summarily dismissed, first, whether it is so in fact and, secondly, how far those influences go and what nature they are. Astrology affirms that they not only affect our bodies, but also our psychical being. If matter and mind were entirely independent entities having no influence or determining effect upon each other, then such a result could not be; but that is not the case. According to the materialistic view of the universe which claims to be the sole rationalistic view, mind is itself an effect of matter and all its states and movements are determined by matter. There is nothing then impossible, planetary influence being once admitted, in the action of material bodies producing psychical conditions on the earth and thereby determining our psychical states and movements. In a more truly rationalistic view mind and matter are always influencing and determining each other; here too, given a universal mind and matter so acting upon individual matter and mind, the movements of the planetary system may be one or even the first nodus of their activities, and the assertions of astrology become at least primarily credible. Farther, astrology affirms that these influences determine the whole course or our lives and that the all-important element is time. That raises the major question of the influence of Time upon human beings and events; does Time determine the course or our lives and the states of our being and if so, how far and in what way ? or to put the question more precisely, as it is raised by astrology, do or can the conditions reigning at a given critical time, in this case the moment of birth, determine our physical and psychological conditions and the whole course of our future lives, or determine them to any considerable extent ? and are the relative movements and therefore the mutual positions of the sun and planets with regard to the earth and each other either the nodus or in some way the effective signs of these determinations ? And, secondly, do the developing time conditions which come afterwards, by themselves or viewed in reference to the original conditions, determine from moment to moment, from time to time the subsequent evolution of our primary physical and psychological conditions and the course of linked and successive circumstances which make up the history of our lives ? and if so, again, are the relative movements and mutual positions of the suns and planets at any given time the nodus or the effective signs of this later determination also ? can they therefore be taken for all practical purposes as determinants, or at any rate as sure signs by which the determinations of our life and being can be discovered ? That is the question which astrology raises, and it is evidently a perfectly legitimate and rational question: nor can we on a priori grounds condemn and put away an affirmative answer, which is based upon past experience systematised into rules and theories, as a superstition or a childish folly. Granted that in things here there is a chain of cause and effect - or at least, if causality is disputed, of antecedent condition leading up to subsequent condition - and that if and so far as we know that chain, scientific prediction becomes in that proportion possible, - two propositions which, unless we deny determination altogether, it would be difficult to dispute, - there is no inherent improbability in the clue to happenings human and other on the planets being found in the motions of those planets. Astronomy is in a sense the primary physical science, for the first facts which give all the others their field are astronomical facts; it may well be that in the psycho-physical field the same rule holds and that there the first facts may be astrological. The a priori objections disappearing, the next step is to ask ourselves whether there is a sufficient prima facie empirical case for inquiring into the actual truth of astrology. This at present depends upon the experience of isolated individuals, a very unsatisfactory basis. But if this experience could be collected, sifted and published, I believe it would be found that a formidable prima facie case exists in favour of astrology, much stronger than that which encouraged the Society for Psychical Research to carry on its work in another psycho-physical field to such important conclusions. I may state my own experience in the matter in the belief, justified by many instances, that it is only typical of the experience of hundreds of others. My first accidental contact with an Indian astrologer was not encouraging. This gentleman was the most accomplished thought-reader I have ever seen; for he asked me to think my question without speaking it and not only successfully named the unspoken question I had fixed on, but three others which had crossed my mind, one of them only in the merest flash and without leaving any impression behind: this he pretended to do by mathematical calculation, an operation which I took leave to regard as humbug or professional parade. For when it came to his answers, I found that he was still doing thought-reading and not astrology; he simply echoed the hopes or thoughts in my mind and his predictions did not come within one hundred miles of the truth. Other practitioners I have found to belong, a few plainly to the class of mere flattering charlatans, but most to the inefficient who read by rule of thumb and have made no profound study of their science. On the other hand, with capable astrologers the results have been often of such a remarkable accuracy as to put quite aside any possibility of chance hit, mere coincidence, intelligent prevision or any of the current explanations. I may instance the father of a friend of mine, a deep student of the science but not a professional, who predicted accurately the exact year, month, day, hour and even minute of his own death. In my own case accuracy was hampered by the inability to fix the precise moment of my birth; still some of the results were extraordinary. Two may be mentioned, from one and the same astrologer, which related to my public career. One, given when I had not yet plunged into the political vortex and my then obscure personality was quite unknown to the astrologer, predicted as an inevitable certitude of the future a political struggle with powerful non-Indian adversaries during which for a time even my life would fall under the shadow of danger. The other, given at the time of my first prosecution in the "Bande Mataram" case, predicted three successive criminal trials in each of which the prosecution would fail. I may instance also two predictions by the book in which Slokas from Sanskrit astrological writings indicating the result of certain conjunctions or planetary positions were shown to be applicable to my horoscope. One foretold specific chronic illnesses for the body of which there was no sign at the time, but long afterwards they put in their unexpected appearance and persisted. 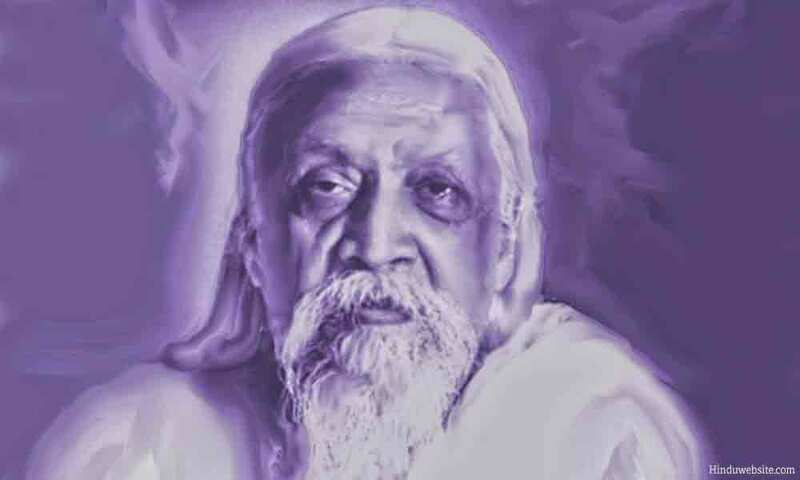 Another indicated very precisely that one of my future activities would be to found a new spiritual philosophy and its discipline; at that time I had no knowledge of philosophy or Yoga and no turn or inclination in my mind which could make the realisation of this prediction at all probable. These are only the most precise examples out of a number. Supposing all well-authenticated evidence of the kind to be collected, I am convinced there would be an overwhelmingly strong prima facie case and even a body of sufficiently strong empirical proof to establish at least a nucleus of truth in astrology. That would be the first step. Fir if astrology is a science and is to take its proper place, the first necessity is to dissipate by an appeal to the empirical mind of the general public as well as of the sceptical thinker the great mass of unenquiring prejudice which now exists against it. To publish the text and translation of the best authorities, as Mr. Iyer is now doing, with illuminating introductions is a preliminary need in this case so that we may know what we have to go upon. The second is to mass evidence of the empirical truth of the science, giving in each case the prediction in all its details, the more detailed the better, the astrological rules on which it was based and the event, each detail of the event being compared with the corresponding detail of the prediction. Only then would there be a clear field for the consideration of the scientific and philosophical doubts, questions and problems which would still arise; but this, though the most important aspect of the matter, I must leave for future handling. An acceptance of the truth of astrology would not necessarily carry with it a complete determinism of Fate or mechanical law of Karma. In the Indian theory at least there is room for a determination by human will and endeavour, for Fate is mainly a determination by past action and a new will and action can cancel it; only a very strong Karma is imperative and irreducible. Even that may possibly be cancelled if one can enter into the freedom of the spiritual consciousness. One instance at any rate came to my knowledge in which the life had corresponded exactly with the pre-indications of the horoscope so long as the subject remained in the world but, as soon as he left it for a spiritual life, there was no longer any correspondence. Source: This article was originally published in the Arya in 1917-1918 and Reprinted in book "View and Reviews" (1941). It is currently in the public domain and reproduced here as per the international conventions on copyright laws.